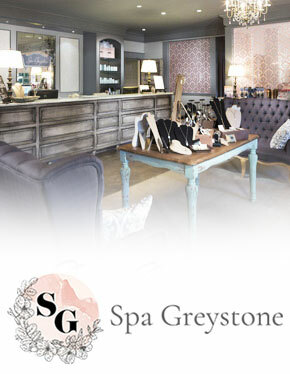 With luxurious and rejuvenating skin treatments, body treatments and beauty services, Spa Greystone is the premier full service luxury medi & day spa in the Birmingham, Alabama area. We offer the latest medical spa procedures administered by our friendly staff of licensed massage therapists, estheticians and laser technicians to help you realize the most beautiful and effective results. Pamper yourself with a soothing massage to promote better circulation and improve muscle tone. Spa Greystone uses today's most advanced medical lasers for minimally-invasive procedures to safely remove unwanted hair, resurface skin on the face and eliminate unsightly spider veins. In addition, cellulite treatments, facials, chemical peels, microdermabrasion and more are available at our state-of-the-art medical spa in Alabama close to Birmingham and Hoover.